The short list for the Arthur Ellis Awards have been announced by the Crime Writers of Canada. The winners will be announced on 28 May at the Arthur Ellis Award Gala at the Arts and Letters Club, Tornoto. Sponsored by the 2011 Bloody Words Conference Committee, this award will be given in honour of Lou Allin. Lou was a board member of CWC, a co-chair of the 2011 Bloody Words Conference, an award-winning writer, and a mentor to many. This award is particularly fitting, as she was the winner of the first Arthur Ellis Novella Award. Hard Case Crime, the award-winning line of vintage-style crime fiction from editor Charles Ardai and publisher Titan Books, has discovered a lost pulp crime novel by Gore Vidal, one that has been unavailable for more than 60 years and has never been published under the author’s real name. THIEVES FALL OUT, the story of an American trying to smuggle an ancient treasure out of Egypt on the eve of a bloody revolution, will be published in hardcover on April 7, 2015. 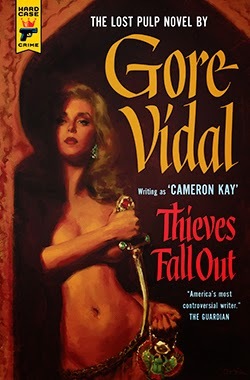 In 1953, when he was 28 years old and already enjoying the combination of literary esteem and scandal that would mark his career as one of the major authors and intellectual figures of the 20th century, Gore Vidal wrote a pulp crime novel under the name “Cameron Kay” (the name of his great-uncle, a Texas attorney general). THIEVES FALL OUT has never been reprinted. Gore Vidal was one of America’s greatest and most controversial writers. The author of twenty-three novels, five plays, three memoirs, numerous screenplays and short stories, and well over two hundred essays, he received the National Book Award in 1993. THIEVES FALL OUT will feature a new cover painting by Glen Orbik, one of Hard Case Crime’s most acclaimed painters. Orbik’s previous covers for Hard Case Crime include JOYLAND by Stephen King and BINARY by Michael Crichton (writing as John Lange). A guardian article on Thieves Fall Out can be read here. Choosing a 25 year-old female as a character. 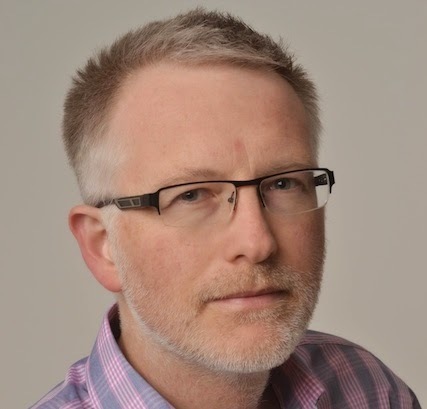 Today’s guest blog is by T R Richmond who is an award- wining journalist. 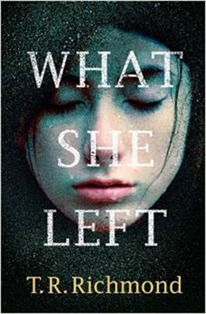 What She Left is his debut novel and he talks to Shots about choosing a 25 year-old female as a character. People talk about their childhood and teenage years as a time of wonder and change, but our 20s are the most formative years of our lives. It’s only then that we pass properly from child to adult. We might leave university, get full-time employment, change jobs, share flats with different people and relocate around the country. We might get into – and maybe get out of – our first serious relationship or relationships. It’s still also often the decade when people get married and have kids. Everything changes in your 20s and change is a writer’s bread-and-butter. For this reason, I was keen that the protagonist in What She Left, Alice Salmon, would be a woman of this age. I tried to make her like a lot of people in their 20s – changing and changeable, likeable, difficult, still trying to establish who they are and where their place is in the world. It’s a wonderful, terrifying decade, when we still sometimes act like kids, but have the responsibilities of adults. Our bodies (and disposable incomes) are those of grown-ups – but, if what I was like at 25 is anything to go by, our brains can still be childlike. We’re let properly loose on the world for the first time. What better material for a novelist than someone in this maelstrom? Creating Alice presented me with two immediate challenges, however. Firstly, I’m no longer in my 20s. Secondly, I’m a man. Both were problematic at times but, as a writer, my job is to imagine. If we can transplant ourselves into, say, the head of an serial killer in America or a cop in a faraway dystopian future, then changing our age by a mere few years and giving ourselves a temporary gender reassignment should be a relatively simple business. Besides, it can be unhelpful to view your characters in predominantly male or female terms. They’re people. Human beings. Individuals. When I was writing from Alice’s perspective, I wouldn’t ask: How would a man or a woman specifically respond to this situation? I’d ask: How would Alice respond? That said, I did find myself asking many questions of my wife and female friends. They must have got heartily sick of me. A lot of this material never made it directly into the book; it was background that helped me establish a sense of Alice. What would her politics be? What radio station would she listen to? What food would she like eating? What would she drink? What would her favourite book be? What would she think about the war in Afghanistan? It helped hugely, as well, to have a female literary agent, who acted as a constant sense-check on the authenticity of dialogue and story. I also read lots of women’s magazines while I was writing the book and, while I wouldn’t claim for a second that such “research” qualified me in itself to write a female character, it was certainly eye-opening. It also earned me a few strange looks on trains. Ultimately, a writer’s job is simple. It’s to watch, to listen, to read, to ask questions – and then to write stuff down. This process is the same whether you’re male or female, just as it’s the same whether you’re 9 or 90. A few years ago, they used to say that men were from Mars and women were from Venus. I disagree. We’re definitely from the same planet – even if occasionally we do inhabit different corners of it. A Facebook page for Alice Salmon can be found here. A fictional blog for Professor Jeremy Cooke where he is gathering information about her death can be found here. Lover of late nights, hater of deadlines. Everyone's life leaves a trace behind. But it's never the whole story. "I will stand up and ask myself who I am. I do that a lot. I'll look in the mirror. Reassure myself, scare myself, like myself, hate myself. My name is Alice Salmon." When Alice Salmon died last year, the ripples from her tragic drowning could be felt in the news, on the internet, and in the hearts of those closest to her. However, the man who knows her best isn't family or a friend. His name is Professor Jeremy Cooke, an academic fixated on piecing together Alice's existence. Cooke knows that faithfully recreating Alice, through her diaries, text messages, and online presence, has become all-consuming. The Audible Sounds of Crime Award recognises the best crime audiobook published in both print and audio in 2014. Courtesy of sponsor Audible UK, the winning author and audiobook reader share the £1,000 prize equally and each receives a Bristol Blue Glass commemorative award. British Isles in 2014. The £500 prize is sponsored by Goldsboro Books, the UK’s largest specialist in signed and/or first edition books. The winner also receives a Bristol Blue Glass vase. The eDunnit Award is for the best crime fiction ebook first published in both hardcopy and in electronic format in the British Isles in 2014. The winning author receives a cash prize as well as a commemorative Bristol Blue Glass vase. The H.R.F. 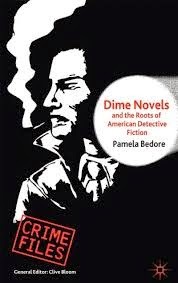 Keating Award is for the best biography or critical book related to crime fiction published between 2013 and 2014. The award is named for Harry Keating, who died in 2011. Harry was one of Britain’s most esteemed crime novelists, a reviewer for The Times, and a writer of books about crime fiction. The winning author receives a commemorative Bristol Blue Glass vase. Christopher Bollen on his Love Affair with Agatha Christie and her Influence. Today's guest blog is by author Christopher Bollen. 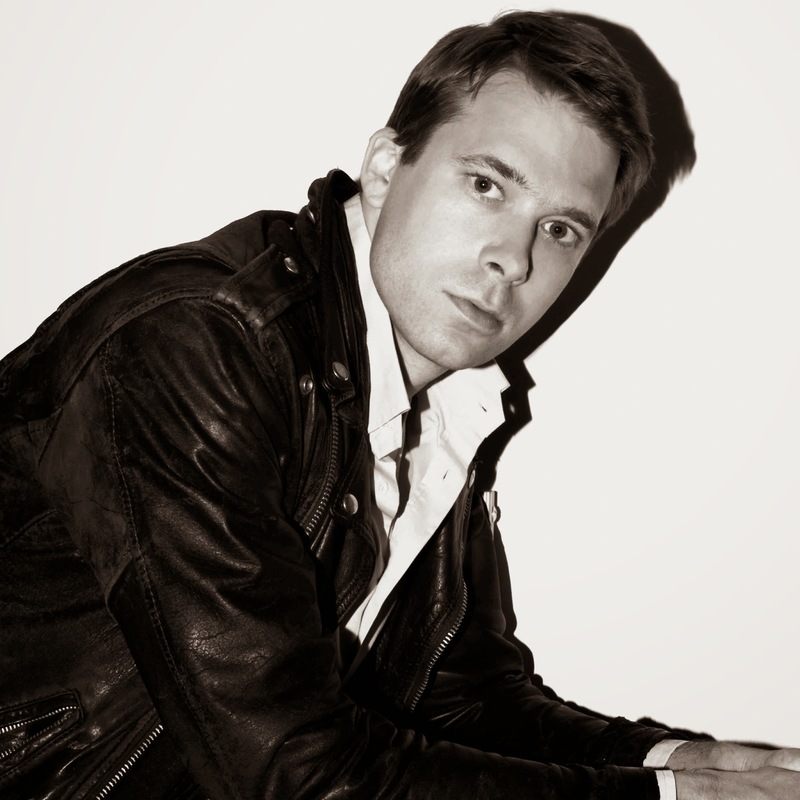 A journalist and editor he is currently Editor at Large of Interview Magazine. He currently writes about Art, culture and literature. I’ve always considered Agatha Christie something of my gateway drug into the life or writing and reading. Until about the age of eleven or twelve I probably read about as much as the average Midwest American kid back in those days when even cable television seemed a rather monotonous landscape until the sitcoms and dramas of prime time. My bibliographic diet consisted of a few books here and there interspersed with assigned texts from English class. But my parents were big readers and there was a family preference for murder mysteries so I eventually smuggled a Christie to my room and began what quickly became a full-fledged addiction. I simply didn’t stop on Christie once I started. Hercule Poirot was my initial superhero of choice—his mysteries always possessed that rarified sense of cosmopolitanism or foreign intrigue: one could jet off to Egypt or Mesopotamia or encounter a range of suspicious urbanites in the mannered row houses of London. But I fell for Jane Marple, too, working out her puzzles and leaps of inductive reasoning behind the lace curtains of St. Mary Mead (and even Marple occasionally traveled, as she did on a forced sick-leave vacation in A Caribbean Mystery). It was Christie, through her majestically prolific career totalling nearly 100 books, who simultaneously opened up the world for me in her pages as well as made it navigable, solvable, and linked by the same passions and desires for wealth and power and maybe a shared taste for blood. 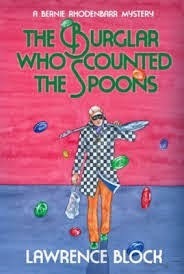 I was a pre-pubescent super-fan, a mini Christie in training, and it was in my attempt to emulate her that I began to jot my own ferociously juvenile short mystery stories in pencil (so I could erase) double-spaced on blue-lined notebook paper. By the time I became a teenager other writers and genres finally broke the spell. But I attribute that early kernel of a lifelong reading and writing fascination to the Queen of Crime (in a country, it’s worth noting, where we didn’t have royalty; she was the only Queen I really knew). When I was finishing my first novel Lightning People in 2011, I began searching for the premise and structure of a next novel. I was fixing the final edits in a small seaside village on the far North Fork of Long Island called Orient—a disturbingly innocent-appearing country hamlet connected to the rest of the country only by a tiny thread of causeway. On that visit, it dawned on me that Orient would be an ideal setting for a series of terrible crimes. As a “literary novelist” we are so often and incorrectly told to avoid genre writing, that it doesn’t allow for that mercurial, inchoate sensibility that defines a piece of writing as a work of art. (You occasionally run into this tired criticism against plot: “life doesn’t have a plot, why should literature?” to which I always want to respond, “yes, in fact, life does have plots! Many, and some are quite ruthless.”) One of the joys of getting older as a writer is that you acquire a little more confidence in your own predilections and interests, you trust them, and I quickly began fleshing out a murder mystery set in the sleepy village of Orient. Agatha Christie instinctively became a model for me. For one, Orient is by its very geography a closed-off community, isolated from the rest of Long Island, and that made it very similar to Christie’s brilliant remote estate mysteries (probably the most superior of these being Ten Little Indians where the characters quite literally cannot escape the island). Also, I remembered how riveting it felt to tear through one of her whodunits, contemplating each character as both a curious, distinctive individual and as a potential double agent. The reader isn’t passive in a Christie: she or he interacts, trying to work through the logic, in the possibility that they could also solve the crime. It’s shadow boxing, and Christie lets us punch. Orient, for me, is a very American novel. In fact, one of the key issues I wanted to explore in its pages is the failure of the American Dream and the way that these communities we have set up and lionized as ideals have reached their expiration date. There’s a feeling of foreclosure to that once invincible dream of perfection in a house, a neighbourhood, a family, happy photographs set on the windowsill against a mowed lawn of Bermuda grass. It is, ultimately, its own sort of fiction. In the States we have our own homegrown mystery models, and a cursory expectation would be that an American archetype would have served as a better vehicle than a British one to explore the rough roads of the American Dream. Ours are largely of two varieties: the noir-ish private eye (Phillip Marlowe, Sam Spade) or the more recent police procedural (Richard Price). But here’s the catch that sold me on Agatha Christie as the ultimate exemplar: I didn’t want an outside detective with a lot of street smarts and cool to be the protagonist. You never see the community under its own skin if it’s just a case of a detective coming in cold without any connection to the people being investigated. That structure certainly makes the writer’s work easier: a murder occurs in the first chapter and the detective goes to the scene and begins the search. In other words, the chessboard is already set up and all the writer needs to do is make the first move. Instead, I wanted amateur detectives, locals with particular insights into this village, to be the ones doing the solving. The tough part about that decision is that I had to actually set the board up in the early chapters before I began moving the pieces. But the payoff, I believe, is that the reader invests in those characters as thinking, feeling individuals with something very real to lose by the unfolding events. Philip Marlow or Sam Spade or a lieutenant on the homicide squad has nothing besides pride or a job at stake if they don’t solve the crime. Moreover the entire universe is refracted through the detective: no character ever outshines Marlow. Christie, on the other hand, and a few others from the Golden Age of British mystery writing (and even latter-day writers like P.D. James), understood that a compelling mystery was a communal activity. Yes, Poirot was a private detective too, an outsider in his own way, but Poirot was also a flawed character, capable of absurdity, and Christie never allowed him to completely overtake the scenario. Jane Marple was embedded; she was an observant set of eyes to the churches and manors and dress shops not far from her windows. Christie was an inveterate chronicler of class, character, communal dynamics, and the tricks and trades of real lives burdened with real consequences. That’s what makes her novels such insightful dioramas of society. Gore Vidal, in a 2011 interview, said this of Christie: “I like Christie because I thought she was a great naturalist — those are real villages she writes about — and it’s fascinating. I used to like to read not for the mysteries but I read her for the characters.” He’s correct. But he goes astray with his next sentence. “They are of no use to an American writer, but anyway they are very nice to read.” They are of every use. If Orient works at all, it’s because I studied and mined Christie’s naturalism. A trailer for Orient can be seen below. As summer draws to a close, a small Long Island town is plagued by a series of mysterious deaths - and one young man, a loner taken in by a local, tries to piece together the crimes before his own time runs out. 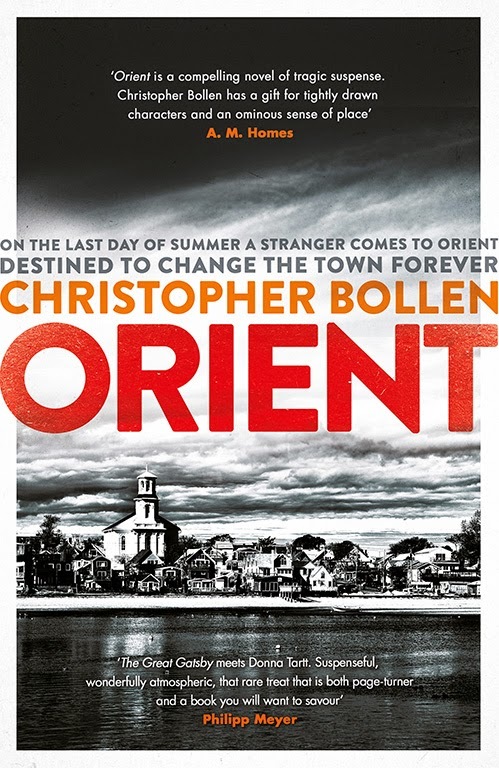 Orient is an isolated hamlet on the North Fork of Long Island - a quiet, historic village that swells each summer with vacationers, Manhattan escapees, and wealthy young artists from the city with designs on local real estate. 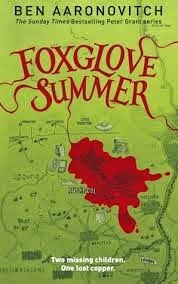 On the last day of summer, a teenage drifter named Mills Chevern arrives in town. 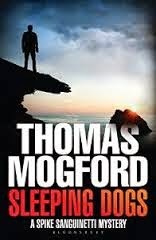 Soon after, the village is rocked by a series of unsettling events: the local caretaker is found floating lifeless in the ocean; an elderly neighbour dies under mysterious circumstances; and a monstrous animal corpse is discovered on the beach not far from a research lab often suspected of harbouring biological experiments. Before long, other more horrific events plunge the community into a spiral of paranoia. As the village struggles to make sense of the wave of violence, anxious eyes settle on the mysterious Mills, a troubled orphan with no family, a hazy history, and unknown intentions. But he finds one friend in Beth, an Orient native in retreat from Manhattan, who is determined to unravel the mystery before the small town devours itself. 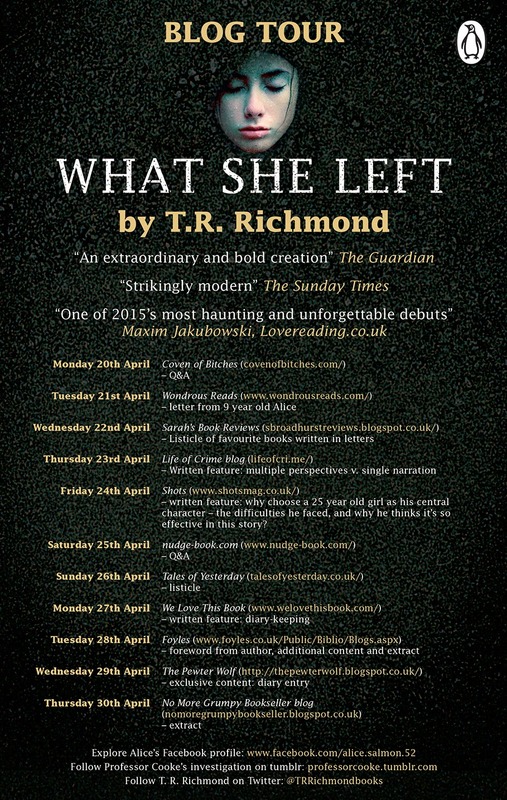 John Connolly at Waterstones Piccadilly 17 April 2015. 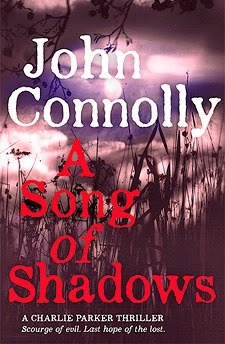 On Friday 17 April 2015 I joined a room full of John Connolly fans at Waterstones Piccadilly, London as they gathered to here him launch the latest book in his Charlie Parker series A Song of Shadows. It was quite an eclectic mix of people who had come to hear him talk about the new novel. The event started with John explaining that whilst he does not normally read from his books at events such as these what he was planning on doing was reading his new short story before talking about the new book and the background to A Song of Shadows. He explained that the short story was set in the same realm of The Book of Lost Things. He also went on to state that he found writing short stories difficult (hence the reason why did not do them that often) but that in October he will have a second collection of short stories (Nocturne 2) published. His first collection Nocturne was published over 11 years ago. After reading the short story John went on to talk about the backstory of the new Charlie Parker book. According to John a lot of his stories start off by him sitting in a bar! This was the case with A Song of Shadows. John explained that he had been sitting in a bar and that he had been watching a programme on the television about Nazi’s who were still free and the way in which they had managed to capture some of the Nazi’s. He then began to investigate the nature and hunt for Nazi war criminals. John pointed out that during his research that he believed that the Eichmann Trial had been the tipping point for most people as it had taken a while for the enormity to set in. He also felt that we needed to try and understand their reasoning for what they did. John also answered questions from the audience. One of the questions he was asked was whether or not he did his writing and research in tandem of whether he did his research first followed by sitting down and writing the novel. John was also asked about Charlie Parker’s redemption. He explained that the overarching theme in all the Charlie Parker’s was redemption and that redemption requires sacrifice. In the case of A Song of Shadows John explained that at the end of the book Charlie Parker as changed quite a bit and that there is a deeper sense and content thus the reason why it is written in 3rd person. John was also asked who was his favourite villain and he explained that he quite liked Mr Brightwell (The Wrath of Angels) but that Mr Pudd who can be found in The Killing Kind was his first villain. He went on to explain that he did not really have to think about villains when writing about them but that he found it a lot harder to write about good people. He wanted readers to sympathise with those being hunted. There was of course a long queue of people waiting for John to sign their books as well and as fans have come to expect there was a collectors cd of music being given away by John. The latest collection entitled Shadows is volume V of the Soundtrack to the Novels of John Connolly and features music by Warren Zevon, Grant Lee Buffalo and the Punch Brothers to name a few. Still recovering from his life-threatening wounds, private detective Charlie Parker investigates a case that has its origins in a Nazi concentration camp during the Second World War. Parker has retreated to the small Maine town of Boreas to regain his strength. There he befriends a widow named Ruth Winter and her young daughter, Amanda. But Ruth has her secrets. She is hiding from the past, and the forces that threaten her have their origins in the Second World War, in a town called Lubsko and a concentration camp unlike any other. Old atrocities are about to be unearthed, and old sinners will kill to hide their sins. Now Parker is about to risk his life to defend a woman he barely knows, one who fears him almost as much as she fears those who are coming for her. His enemies believe him to be vulnerable. Fearful. Solitary. But they are wrong. Parker is far from afraid, and far from alone. For something is emerging from the shadows . . .
Chapter 1 of A Song of Shadows can be read here.